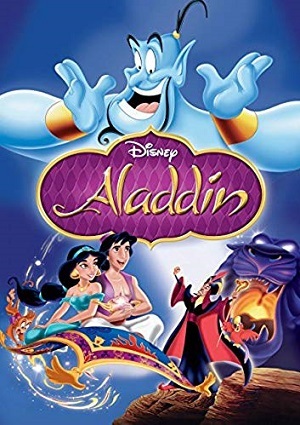 After being arrested for stealing, Aladdin is asked by the Grand Vizier to go and retrieve a magic lamp from a mysterious cave for him. Aladdin agrees, seeing it as an opportunity to become free, and gets the lamp. By accident, Aladdin rubs the lamp and releases Genie, who promises him 3 wishes. Aladdin first wish is to be a prince, so he can then start a romance with the prince Jasmine. He manages to grab Jasmine’s attention and short after, they kiss, even when Jasmine is already promised to marriage with an elder man!